Heaven comes to earth through Jesus. If all that stuff we say we believe as Christians is true —that Jesus is King and he brought his Kingdom of Heaven with him to this earth— then we ought to expect that wherever the good news of that kingdom goes, that the places where it lands and takes root in our city, over time, will begin to look a whole lot more like heaven on earth and less like hell. #morelikeheaven is a quarterly service initiative born out of our conviction that Jesus is King and his Kingdom of Heaven has come. 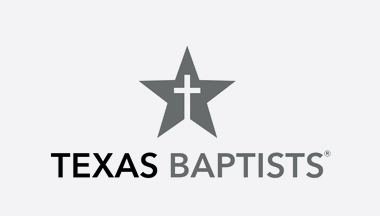 We believe that Waxahachie will be changed as that good news continues to spread throughout our city and once Jesus’ people begin to live their lives like they actually believe that it’s true. Eventually, places that are broken and people who are suffering will find relief and restoration as they come into contact with the living Jesus working through his people. 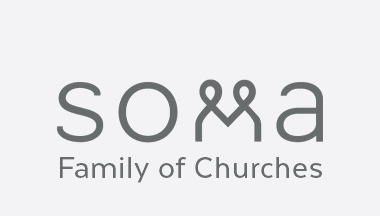 We believe that our city ought to look different because Soma Waxahachie exists. And that's what our #morelikeheaven initiative is all about. Serving our neighbors as God in Christ has served us. This Fall we’ve chosen to focus our attention on Common Ground Ministries (CGM). CGM is a Christian-based non-profit organization that provides low cost after-school childcare and a 6-week summer school program for the children of moms and dads who cannot afford the cost of traditional for-profit childcare programs. Jesus hasn't just called his church to go and announce the good news of the forgiveness of sin and the arrival of his kingdom to people who are far from God. He's also called us to go into the broken places in our city and live our lives like we actually believe all that stuff he said about redemption and his Kingdom of Heaven are true. When we moved into our office there was an empty patio sitting adjacent to us. We asked our landlord if it would be okay with him if we made use of it. He told us that it's been sitting there bare and naked for the past 20 years and he'd love to see someone make use of it. So we did. We organized a work day to assist Daniel's Den in their ongoing work of helping solve the problem of homelessness in Ellis County. Daniel's Den is the only functioning shelter providing for the needs of the the displaced in our county. We are grateful that they’re here, helping make the lives of our homeless look a little bit more like heaven. If you'd like to find out about how you can help, or to let us know about a need in our area, hit the button below.